I would recommend them. I think it will make a significant difference on your PG&E bill. We had a huge job where they did the whole house, and we have a huge amount of windows. We were very happy with them. They came out most recently because our house had been robbed and a couple of windows had been broken. We needed to replace them. I was very happy that they still had our information from 10 years ago and were able to match the window to the replacement. They were very responsive. They got out here and got the work done. Over the years, I've been very happy to have it done, because it has really saved us money on our PG&E bill. They did exactly what they said they would do. They arrived on time, finished on time, and completed all of the work they were contracted to do. I would show them before and after pictures of what the windows look like on my shop and they look as good as new. All of the tinting did the trick to remove any scratches. It is so easy to clean and to maintain. I was pleased with the price quote. 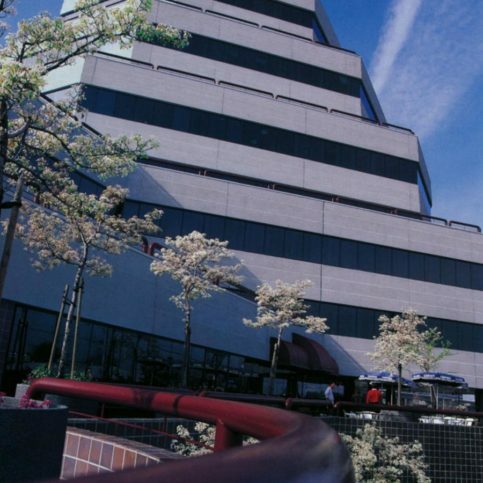 Solar Control Glass Tinting Co. eliminates the effects of sun overexposure for residential and commercial properties throughout Northern California, from single-family homes to high-rise multiplexes. 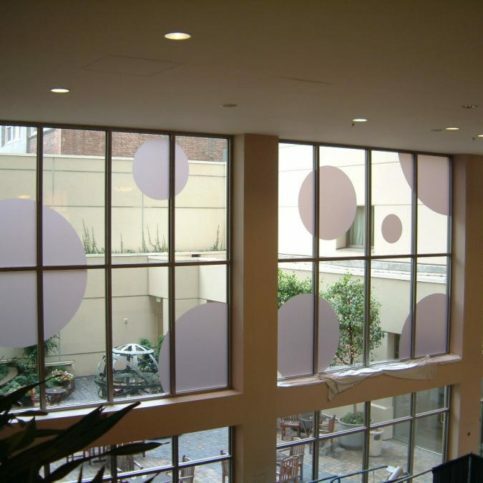 In addition to window tinting, it provides solutions for graffiti, eavesdropping security and safety issues. Other services include decorative interior and exterior glass applications. Owner Rocky Burcham has seen the industry evolve from the days when tinting was done with liquids to the modern process of applying film. Solar film lets glare-controlled sunlight pass through windows while screening out heat and dangerous UV rays, he says. Bonding the film to the glass creates a barrier that protects against flying glass shards if the window is shattered. It also makes glass more difficult to break, which adds the element of security. Films with anti-graffiti surfaces protect against vandalism, while decorative films can mimic the appearance of expensive etched glass. 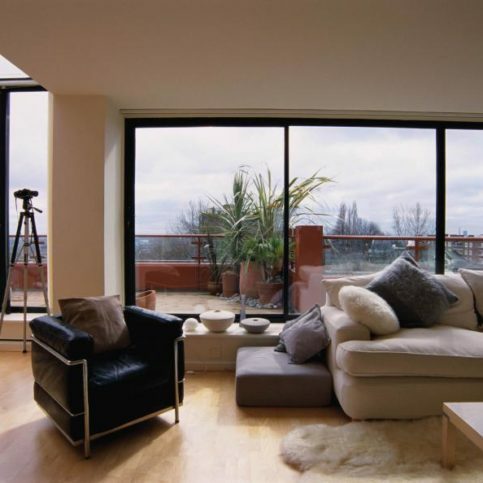 Solar Control Glass Tinting Co. provides free in-home estimates and samples of film. The company’s website offers case studies from previous jobs and extensive information about its licensing and qualifications. 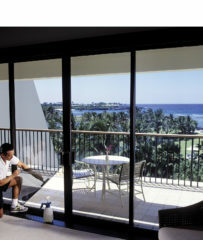 A Solar Control Glass Tinting Co. employee works on a sliding glass door at the Mauna Lani Bay Hotel in Hawaii. 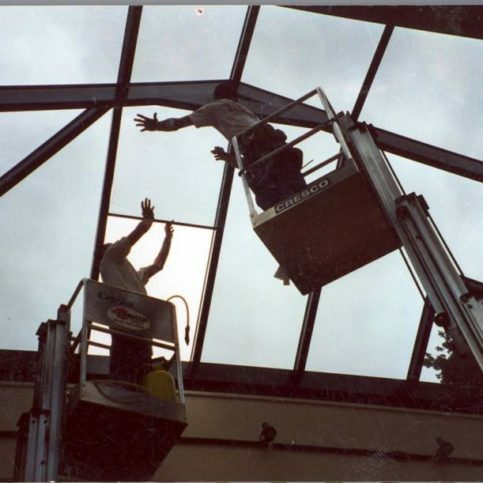 Founded as a family-owned business in 1975, Solar Control Glass Tinting Company specializes in eliminating the effects of overexposure from the sun for residential and commercial properties. In addition, it offers solutions for graffiti, eavesdropping security and safety issues. Other services include decorative interior and exterior glass applications. Along with consultation and estimates for projects, the company’s website (www.solarcontrolcompany.com) provides case studies from previous jobs and extensive information about its licensing and qualifications. “Some competitors avoid sharing information that can really benefit clients,” says Mr. Burcham. In addition to extensive product and service options, the website provides a copy of the company’s state license, workers’ compensation coverage information, useful tax credit forms, and links to Energy Star, the U.S. Green Building Council (LEED-certification), PG&E’s commercial rebate program, and various design partners. “We work with interior designers because they’re often an integral part of the process for both residential and commercial projects,” notes Mr. Burcham. 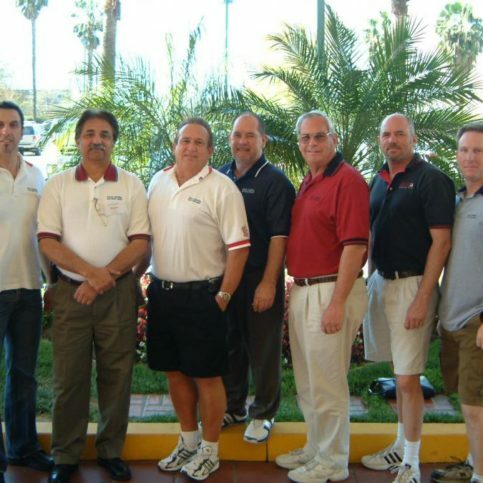 “I think the best word of mouth for our service is through great referrals. We support designers through a referral tracking system.” Solar Control Glass Tinting Company’s staff can also help potential clients or their contracted designers through the process of identifying solutions that best fit their needs. 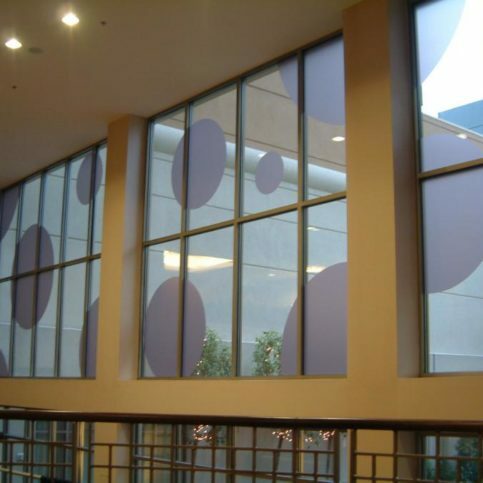 Solar Control Glass Tinting Company provides service and solutions for drapery and furniture fading, anti-eavesdropping film, non-reflective film, safety and security film, earthquake safety film, decorative film, anti-graffiti film, attachment systems, skylight covers, and rebate forms. Once you get and confirm a contractor’s license number, you can use the California State License Board’s website to verify the owner’s name, their years in business and any complaints registered against them. Some retailers and other companies have found that sensitive electronic information can leak through windows when Wi-Fi, radio interference or certain radio frequencies are used. A few manufacturers have developed film to go on windows that distorts and scrambles this information. 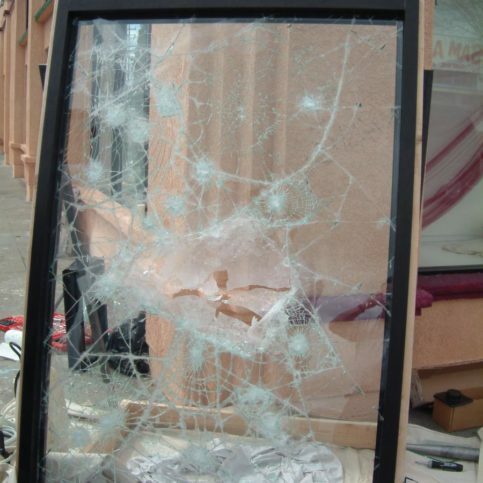 Developed in the 1980s to combat glass being scratched or broken by vandals, a clear security film can be used to help prevent breaking and entering. It doesn’t change the look of a building, but it can be very hard to remove. A new film has been developed with a low tack adhesive that can easily be removed. 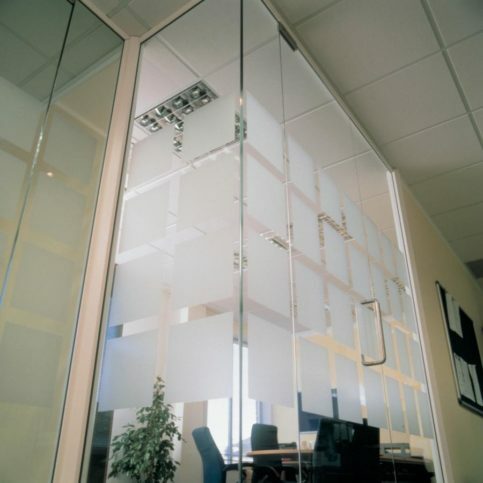 In addition to applying the film on glass, it can be used on stainless steel elevators and other walls or doors. “It can also be used to coat granites used for sitting areas at malls, bathroom stalls and other public areas,” notes Mr. Burcham. 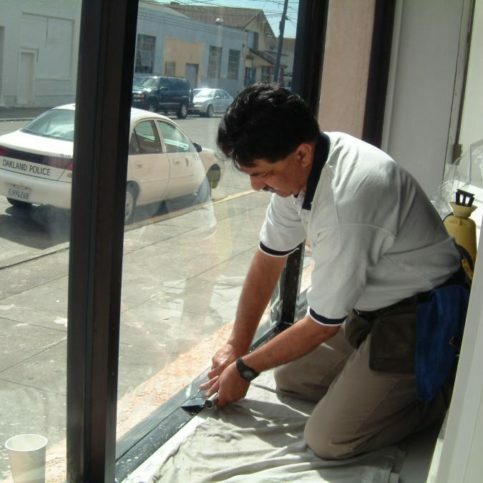 Q: Is tinting film safe to use on double pane windows? A: Yes. The films we use are approved for double pane windows. One problem with tinting films is that once you apply it to windows, the manufacturer of the windows may void the warranty if problems occur. 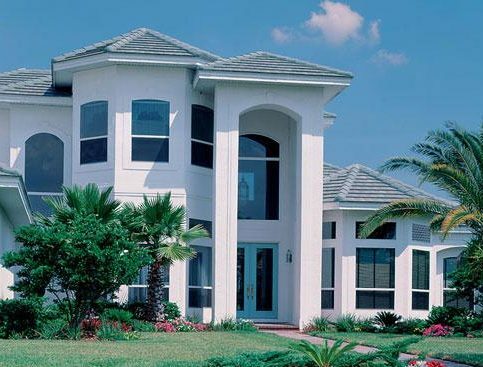 We work with film manufacturers that pick up the warranty for the windows as well as the film. Q: Will the film affect the view? A: No. In fact, most customers find it actually enhances the view by cutting the brightness. Q: Will the film cut ultraviolet rays? A: Yes. There are specific films for blocking ultraviolet light. UV protection reduces damage to furniture, carpets and drapes, which can be very costly to replace. The films that we use can cut 99.9 percent of UV rays. Nothing prevents fading, but using film on the windows slows the process. Q: Can the addition of films help reduce interior heat? A: You can get as much as 12 to 15 degrees cooling from the films we can apply. We install films specifically to reduce heat in rooms that may otherwise be unusable. Film that’s more reflective reduces more heat. Q: Do you have film that can prevent window breakage? A: Yes. Some houses and buildings have older glass that’s not tempered, which is now required by law. 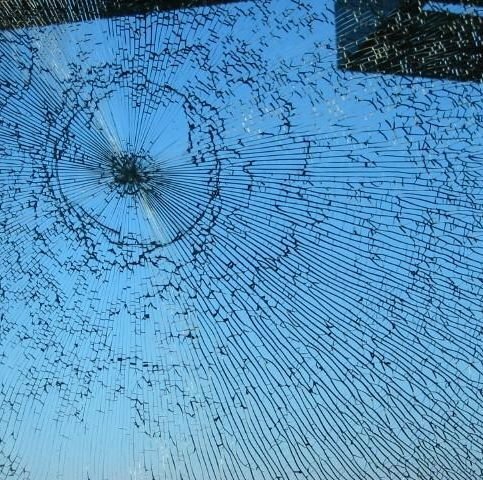 To prevent breaks and dangerous shattering from an accidental fall or earthquake, we can apply a clear film on the inside that helps hold the glass in place. 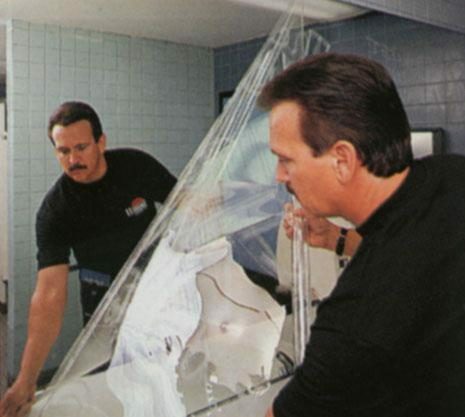 Q: How do you clean the films? A: All films that we install have a hard, scratch-resistant coating and are easy to clean. We generally discourage using abrasive cleansers. They’re not scratchproof, but they’re scratch resistant. We provide information for care with each job. Q: Can I install the film myself? A: We don’t recommend it. We can’t warranty the work, and some film purchased at consumer retailers can ruin windows if not applied correctly. A: Yes. 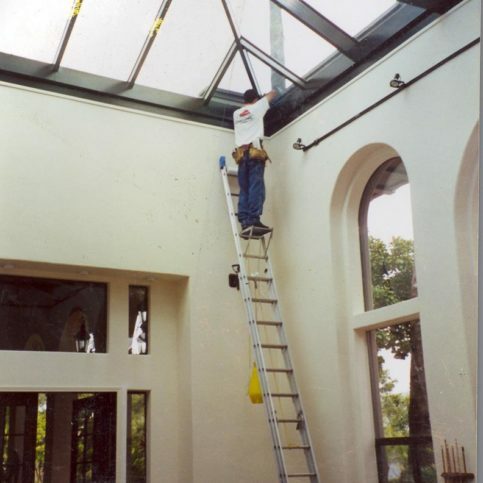 We’re a licensed contractor and carry ample liability insurance. We also require our entire staff to be bonded. Most employees have been with the company for eight to 15 years, and we’ve never had any problems or issues with security on a job site. These films are made with metal particles, which give them a reflective quality that allows them to naturally deflect sunlight and heat. Additionally, their grayish, mirror-like tint makes it more difficult for outsiders to see inside the windows. These films are made with ceramic particles, which allow for greater visual clarity than metal. Despite their non-reflective character, ceramic films are still able to reject 99 percent of ultraviolet light, as well as about 50 percent of the sun’s heat. Constructed with expensive, high-quality materials, these films are designed to provide maximum clarity along with superior heat and light rejection. By learning about the different window film options available, as well as assessing your specific needs and budget, you’ll be able to find a product that’s right for your home. SAN RAMON — Host, Sarah Rutan: If you’re thinking about tinting the windows in your home, make sure you’re aware of the many different options available. To learn more, we’re in San Ramon with Augie Covarelli of Solar Control Glass Tinting Co., speaking on behalf of Diamond Certified Expert Contributor Rocky Burcham. Diamond Certified Expert Contributor, Augie Covarelli: Deciding on a film to put on your windows in the end becomes a personal preference, but basically there’s three different types of films. The first series of films, which are the reflective films, are made with metal particles, and that’s why they’ll reflect more heat. But they’ll also have a mirrory, gun-metalish look on the outside. And at night, they are harder to see through because of the light dominance. The lights will shine back at you. The second category of films are ceramic films made with ceramic particles. They’re non-reflective. They still reject 99 percent of the ultraviolet. They’ll reject about half the heat. The third category is high performance films. They’re made with more expensive particles, but the idea is to make a film that’s clear as possible to reject as much bad stuff as possible, like over half the heat and 99 percent of the ultraviolet. Solar Control Glass Tinting Company : Average 9.4 out of 10 based on 309 unique customer surveys of customer satisfaction. He is very knowledgeable about the maintenance of the tinting that he puts on, and he is communicative. They show up when they say they are going to. I didn't have to make a million calls. He came out, did the work, and it was done. They were good and timely. They stuck with whatever we said. It looks good. I have used them in the past, and they did a good job. It is still looking good. We have been using them for years. That they are reliable and professional. They are very good at the installation, and they are clean to boot. 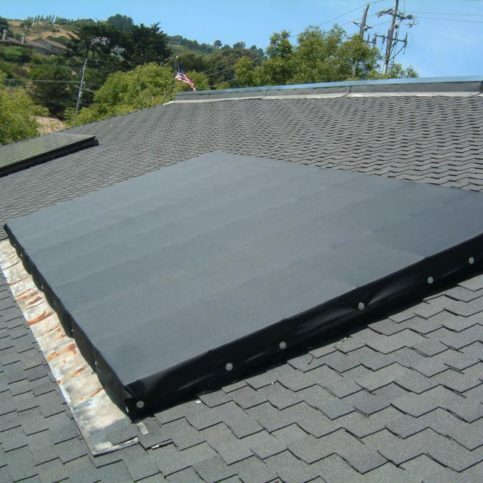 Their knowledge was exceptional, their service was quick, and their installers were wonderful. Their salesperson explained the different levels of products. They made the experience easy. I thought their services were excellent. They were very neat. I thought their prices were excellent. I had it done before, so I knew exactly what was happening. It helps keep the heat out. I thought they did everything right. I thought the salesperson was fantastic. If you need your windows tinted, call them. They were efficient, courteous, and professional. I just recommend them. They did a good job. Everything was on time, clean, and it didn't take very long, so no issues at all. The experience was exceptional. The tint is a little darker than I might have realized, but I suppose that's making it more effective. I don't ever plan on putting window treatments on the windows, so in the end, I think I'm getting what I really needed. I felt that they arrived on time, they were professional, and I wouldn't hesitate to call them again. We have recommended them to our next door neighbor. We were prefectly satisfied with everything about the product. The product itself but also the salesperson was knowledgeable and gave us a very candid assessment of the product.